Located in what is known as “the most prestigious square kilometre in the world”, Dubai Opera is a masterpiece of contemporary design with the ability to transform into three styles – a 2,000 seat theatre, a concert hall, and ‘flat floor’ for events such as weddings and trade shows. 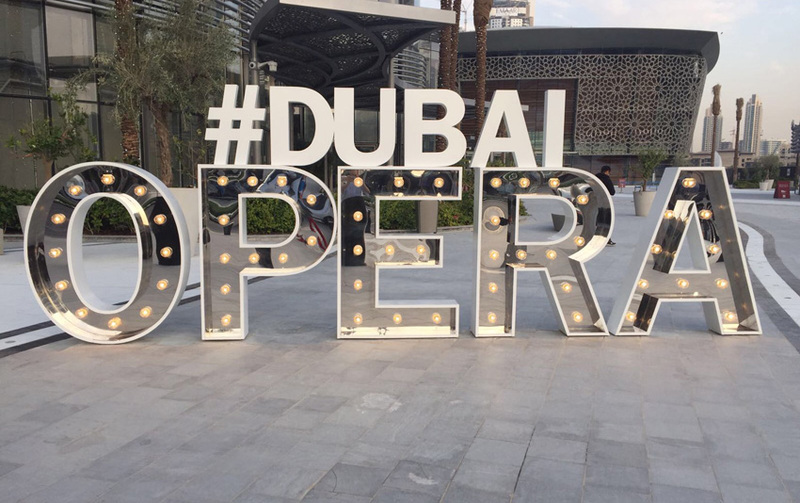 Since opening its doors last year, Dubai Opera has welcomed thousands of visitors from all around the world to see a number of long-running shows including Les Misérables, Jersey Boys and Mary Poppins, as well as ballets, operas, orchestras, fashion shows, conferences, galleries and art exhibitions. Flowpoint, supplied by Instarmac’s partner in Dubai, Tanseeq LLC, was specified to grout 9,000sqm of paving surrounding the beautiful Dubai Opera. Part of the UltraScape Mortar Paving System, Flowpoint has been independently tested to British Standard 7533 and has been developed over a number of years to provide a durable finish which will not crack or stain – even in the extremely high temperatures in Dubai. This was put to the test when Flowpoint was used to grout 40,000sqm of paving at City Walk in July 2015 – a time when temperatures can reach up to 50ºC. Located off Sheikh Zayed Road, City Walk is a premium location in the heart of Dubai and brings together the perfect mix of residences, high end retailers and restaurants as well as tree lined pathways and a crystal clear lake with stunning views of the Burj Khalifa, where Flowpoint has also been used. The flowable properties of Flowpoint allow for large areas of paving to be grouted quickly. It can be used to grout joints from 3-5mm to 50mm and as deep as 200mm in one application which was ideal for City Walk where a number of different sized stones were used. Flowpoint can receive foot traffic after just 1 hour and vehicular traffic in 4 hours – ideal for sites where certain areas need to be accessed to allow construction to continue. Such was the case at MBR City when Flowpoint was used to grout 9,000sqm of granite stone. MBR (Mohammed Bin Rashid Al Maktoum) City is the definition of luxury. The 45 million square feet development brings together striking villas and mansions, fine dining, flagship retailers, 60 acres of park lands, 8km of shared cycling tracks and 90 acres of crystal lagoons – the first of its kind and largest in the world. Construction at MBR City continued whilst the granite paving was being installed. A number of heavy goods vehicles travelled across the paved areas each day demonstrating Flowpoint’s exceptional capabilities in areas of heavy traffic with vehicles turning frequently. Flowpoint is available in 3 varieties – Original, ECO and Smooth and 2 colours – Charcoal and Natural Grey – offering the perfect finish for every project. Flowpoint is available in Dubai through Tanseeq LLC. To contact Tanseeq please call +971 (04) 361 7199 or visit http://www.tanseeqllc.com.